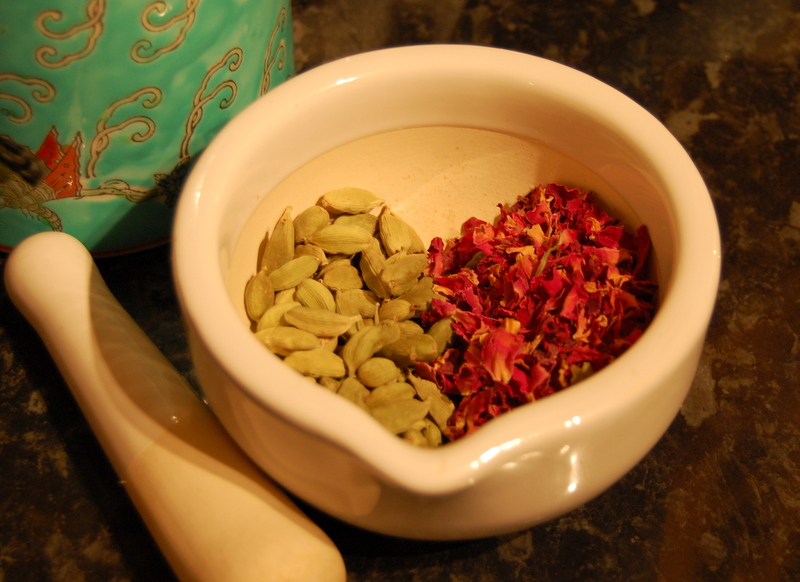 Rose and Cardamom – Blend of the Gods? Whenever I need a bit of luxury in my life, rose and cardamom tea is just the ticket. These two herbs not only taste beautiful together but also have some great medicinal properties that help balance us when things get stressful. They both have a long history of use as aphrodisiacs and were key ingredients in any number of ancient love spells. As they both aid the release of nervous tension and stress and have exquisite aromatic flavours, it’s not hard to see why this would be so. Cardamom is wonderfully warming and soothing to the digestive tract and is a first rate choice for bloating or gas. Rose petals are usually considered cooling but also have some important digestive properties in increasing bile flow and protecting the liver. They also both help to dry up congestion and mucus so can be useful at this time of year for those pesky ‘change of season’ runny noses. Enjoy half an hour before meals to maximise the digestive properties or at anytime for the wonderful flavour and balancing, heart opening, love inducing effects. 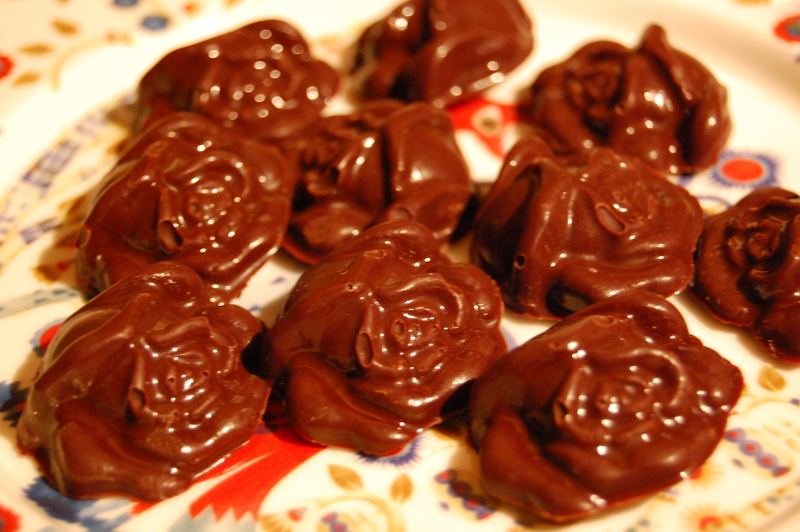 Just crush a few cardamom pods and add a small teaspoon of rose petals per cup. If you really need some pampering, take a leaf out of my book and indulge in this tea with some homemade rose and cardamom chocolates (recipe to follow soon), whilst relaxing in a rose and cardamom bath… pure heaven. Love Cardamon!! !… been looking for something to pair with rose (I’m Not a fan of Rose ;)), I’ll try this the tea idea sounds good!… Please provide the recipe for the chocolate pods!